Starch. It’s What’s For Dinner. 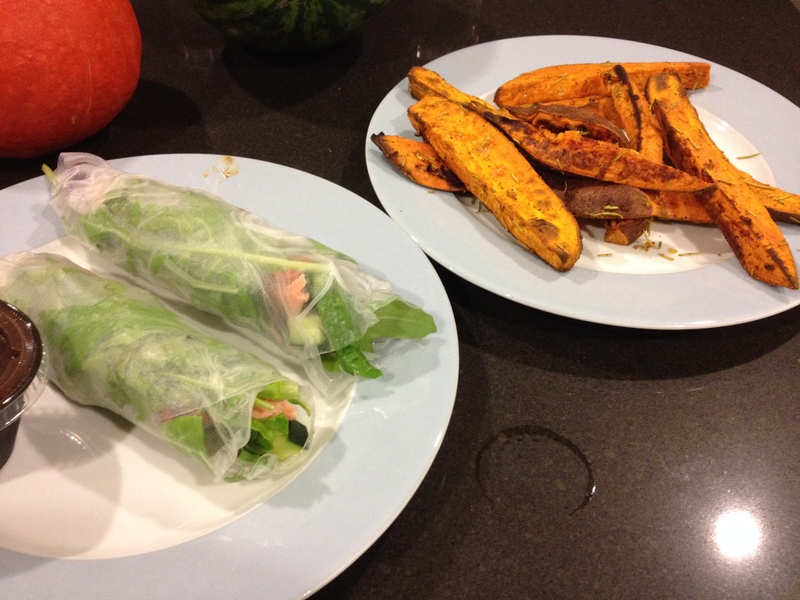 I had Top Ramen again for dinner, and a 425g sweet potato, and I made some salad rolls with rice noodles. So with the rice, bean, and veggie burrito, I’m definitely over 2lbs of starch today. I also had some cantaloupe, grapefruit, strawberries, and an apple. Plus, I drank at least a litre of Tab.